This is a surprising news that High court ordered Mohan Babu and Brahmanandam to surrender their ‘Padmashri’ titles. All this because of misusing the title 'Padmashri’ , As per Article 18(1) of the India constitution any award that conferred by the Centre to a person should not prefix to their names. but Mohan Babu and Brahmanadam done this mistake in the film "Doosukeltha" The petetion was filed by BJP senior leader N. Indra Sena Reddy and won the case recently. 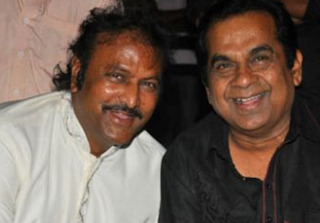 Mohan Babu won the title in the year 2007 , where as Brahmanandam got it in the year 2009..